The Innokin EQ Kit adopts the 0.5ohm Plexus coil for a superior MTL vaping experience. The inbuilt 800mAh battery provides a long-lasting vape time too. 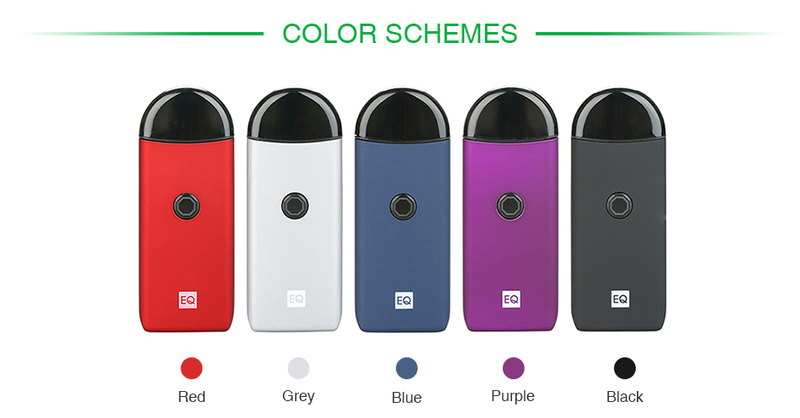 Here comes the Innokin EQ Starter Kit! 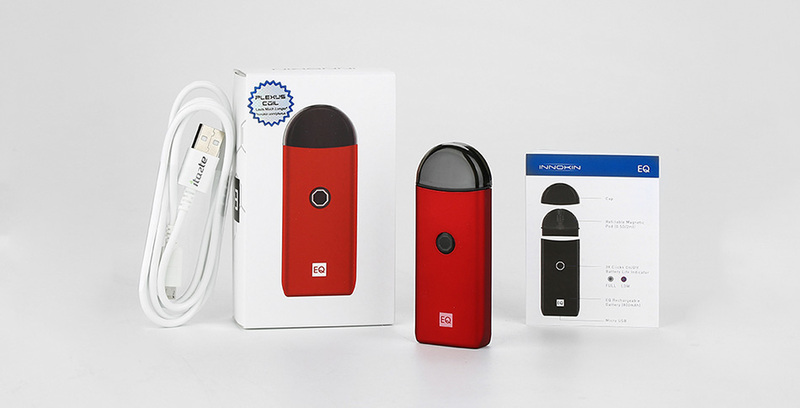 It packs an inbuilt 800mAh battery and a 2ml pod cartridge in a compact unit. The EQ Kit adopts all-new 0.5ohm Plexus coil for optimal flavor and long lifespan. The EQ comes with a protective top cap for anti-dust function. Just rotate the base of pod and you are capable of refilling the liquid at the bottom. Grab the EQ in palms and enjoy the easy vape! You can also buy here: Innokin EQ Pod and Innokin EQ Pod Cover Cap.